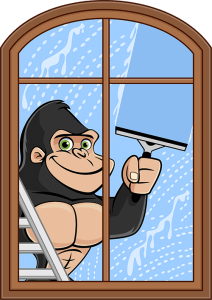 Kelowna Window Cleaning | Gorilla Property Services | Call Us Now! 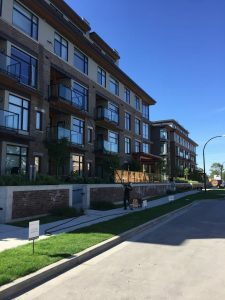 There are many reasons to make use of Gorilla Property Services’ Kelowna Window Cleaners. Most are pretty obvious. The Okanagan and surrounding lake country area boasts some of the most picturesque scenery. If you are lucky enough to enjoy some of it from the comfort of your home or business, why not make the most of it with streak-free windows. Spotless glass also boosts your property’s energy efficiency. Efficient windows keep the cold air out and dirt-free windows let the sun’s light and heat in. Then there’s curb appeal. If you own or operate a business in Kelowna you understand the importance of maintaining a clean and welcoming façade. Maybe you are considering putting your property on the market. In which case a thorough window washing, inside and out, and complete pressure washing of external surfaces will put you well ahead of the game. However the most important reason is one not everyone is aware of; degradation. Glass is a porous liquid that continues to harden over time which means dirt and pollutants can seep into the surface causing permanent damage if not maintained regularly. I know what you’re thinking at this stage. “Why not just bust out the cloths, newspaper and trusty blue spray bottle and tackle that filth myself. How hard can it be?” Well, you’d be surprised. Wiping from side to side creates a static build-up that attracts dust and dirt. The windows could look filthy again by the time you’re done. Our Gorilla technicians use biodegradable, earth friendly cleaning solutions paired with pure rubber squeegees meaning your windows stay clean for longer. That’s why Gorilla Property Services recommend our Kelowna professional Window Washing services just twice a year.